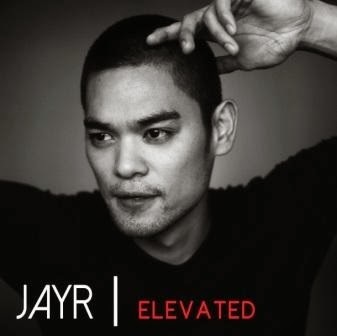 Today marks the comeback of the award-winning singer and producer JayR as he releases his massively anticipated all-original album, Elevated, in record stores and via iTunes and all digital retailers now. Properly celebrating and promoting the record’s arrival, the R&B King took the stage for a very special performance with other Homeworkz artists topbilled by recording artist Mica Javier, hip-hop/R&B artists Q-York, rock band Kley, novelty rap/hip-hop artists Salbakuta, singer-actress Frencheska Farr and Rakenrol star Glaiza De Castro via the first-ever Homeworkz Music Blog Con, to elevate their respective albums, last March 31 at Treehouse, Makati. Comprised of 14 outstanding tracks with collaborations from Kyla, Mica Javier, Q-York, Gabi Wilson, Jhing, Jimmy Muna, Marié Dibgy, AJ Rafael and Kris Lawrence, JayR’s current single You Are Not Alone feat. Philippines' Queen of R&B Kyla, as of March 21-27, 2015, is climbing the Pinoy Myx Countdown at #10. Elevated is receiving extensive critical acclaim from top outlets and his co-artists as well. “I think Elevated is JayR's best body of work thus far because it shows his growth as an artist, and the passion that exudes from his artistry allows him to compete at an international level and push the envelope for OPM, “ Mica Javier professed. “I’m happy to have been a contributor to this album not just as JayR's partner on Tonight which already went No.1, but also behind the scenes as a songwriter and a creative”. And there’s no stopping him. In fact, JayR is just about everywhere right now. He continues to shine via Your Face Sounds Familiar with Gary Valenciano, Sharon Cuneta, Jed Madela and Billy Crawford. “I surprised myself winning the first competition as Pepe Smith in Your Face Sounds Familiar. I never knew I had a talent to impersonate artist icons. I guess you can say the show brought it out of me,” Jay-R claimed. JayR is joined by other equally talented celebrities like Nyoy Volante, Karla Estrada, Melay Cantiveros, Maxene Magalona, Tutti Caringal, Edgar Allan Guzman and Jolina Magdangal. The King of R&B will be having a series of mall tours nationwide to promote the said new album this summer.